What happens in your brain when you decide to get off the couch in the living room and go to the kitchen to pour yourself a glass of water, or go shopping in the local grocery store? What are the neurological processes that allow us to know where to turn and how to get to a certain place? 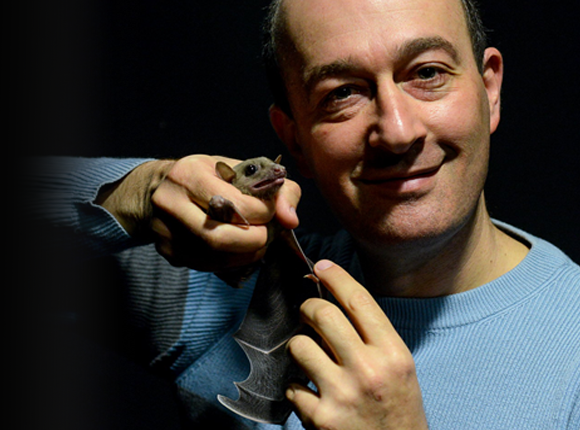 An Israeli study has shown for the first time that the nerve cells in the brains of mammals - in this case bats - react depending on the direction and distance of the target. These cells allow the bat to know where the target is in relation to itself and to direct itself there. A recent study was conducted by Ayelet Sarel and Professor Nachum Ulanovsky from the Weizmann Institute of Science. “The inspiration came from a previous study, where we followed fruit bats (Rousettus aegyptiacus) using a GPS tracking device attached to their backs. We were impressed with their navigation capabilities, and asked ourselves what was the neurological basis responsible for this," said Ulanovsky to Davidson Online. The first part of the puzzle has already been solved: we know how the brain allows us to know where we are. The Nobel Prize for Medicine in 2014 was awarded to the researchers who described place cells and grid cells in the brain of mice, which probably exist in ours as well. Each of these cells is activated when the mouse is in a different area of its environment. Together, their activation pattern gives the mouse its exact location. As for the second part – how the animal comes from its original starting location and gets to its final target – it remained an open question. The researchers recorded the activity patterns of 309 neurons in the hippocampus – the brain region containing the place cells – of three bats flying to a platform where they knew they would receive food and rest. Electrodes were gently implanted in their heads - close to these cells, to measure the electrical activity, which was recorded in a device attached to their heads. The researchers found that about 19 percent of these cells reacted to a certain angle between the flight direction and the direction of the platform. Many of the cells were activated when the angle was zero - meaning the bat was flying straight towards the target. Others were activated when the angle was 20 degrees to the right, 40 degrees to the left and so on, so that together they covered the entire 360 ​​degrees range. The cells were activated depending on the bat’s destination, not absolute directions such as north or south. Evidently, when the researchers moved the goal elsewhere, the cell activity changed accordingly. Bats love to fly, so when they are let free in a room they generally do not fly straight to their target, rather they choose the long and winding route. With such a path, the angle between the direction and the target is ever-changing, and the operation of these ‘vector-cells’ changes with it. Using these cells bats get information on the direction in which they have to travel to get to their destination. The mechanism, as it turned out, is based on memory, because bats do not need to see the target to make it all work. 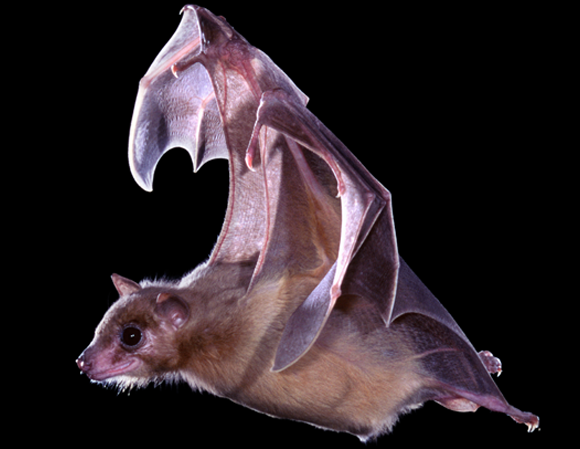 Vector cells continue to operate in the same manner even when there is a screen between bats and their target, as long as they had first seen where it was located. Of course, aside from the direction there is other important information required in order for one to arrive at its destination; like how far away it is. Indeed, researchers also found cells that were active when the bats were a certain distance from the target – some were activated when the bat was closer than two meters, and some were activated when it was further than two meters from the goal, or further than ten meters. Most of the cells responded particularly to the distance the bat had to travel, and not to the shortest line between it and its target – namely, if the bat selected a winding route that took five meters despite its target being a meter and a half away in air distance, the cells that were activated in its brain were those that respond to a distance of more than two meters. However, there was a group of cells that reacted specifically to the air distance. This new study offers an answer to one of the fundamental questions of neurobiology - how we navigate. The ability of animals – from insects to birds – to find their way and navigate their route is well documented, and the studies show they appreciate the direction and distance of their exact target. “We knew there had to be a representation of it in the brain,” says Ulanovsky. The cells he and his colleagues discovered are the basis for this representation that can be easily translated into action; move your head according to your direction-to-goal cells and take a step (or fly) according to your distance-to-goal cells.